How to plan your first art exhibition. A friend recently asked my advice on her first photography exhibition. This is relevant for any kind of art however. 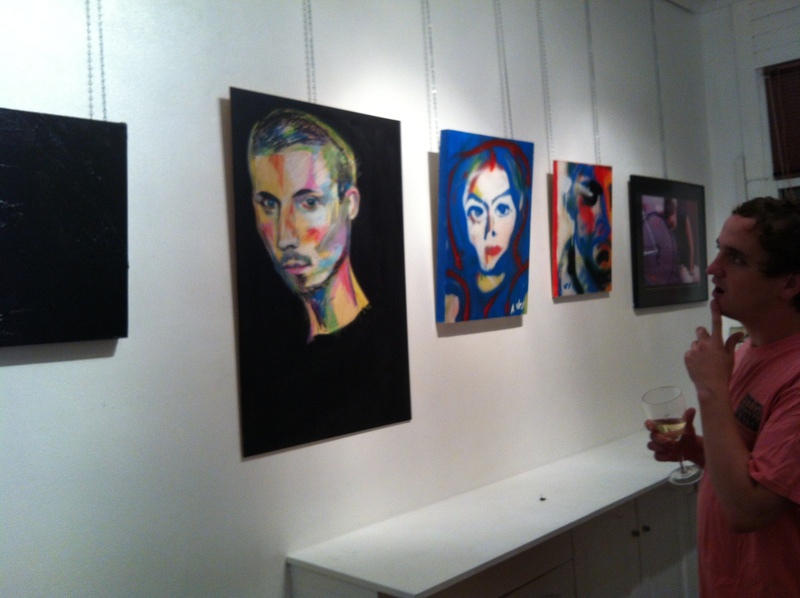 I’ve curated some very successful “studio” exhibitions held in a person’s home. You can exhibit in a shop, a gallery, a laundromat, a warehouse… Get creative with it. You need people to see your work if want to call it an exhibition. Close friends and relatives are your backbone here. If you ask them all to bring along one friend, you have doubled your audience. Always give plenty of notice and MAKE SURE you call each person to make sure they got your invitation (be it on paper or electronic). People are forgetful these days. Trust me. Use facebook, LinkedIn, etc but be warned, only one third of online “people attending” ever show up. It’s customary to exhibit work of one or two styles, so pick your best pieces, and others that complement it. Unresolved work will bring down the collection so be picky. Try to get a flow going around the room/s where works are tied together by theme, style or colour. A mish-mash can look cheap and unprofessional (unless that is your angle). Hang everything square (get a spirit level) and slightly above the average person’s eye level. Line up either the middle of the works or the tops of the works. Get a friend to look over the show before the public sees it. You can number the works with stickers or pencil on the wall. Or you can do a catalogue or both. Some artists sell a colour catalogue with the images for say $10-$15 for people to collect, and have a free black text version for pricing info etc. You will want to include the title of the work, the price, it’s number (if applicable) and medium eg oil on canvas. Year is optional. You can also print gallery cards with this info and place them next to each work, perhaps bottom right where they are visible but not dominating. A very tricky one. I recommend a majority of works at a high to reasonable price, then a few very expensive (special ones) and a few cheaper small ones. Why? The psychology of this is too long to get into. But it’s really up to you. If in doubt, Price = (2x materials cost)+($100 per hour). All work should be signed. People pay for not just the piece, but YOUR part in it. Photography and printmaking is generally bottom left = edition, bottom middle = title, bottom right = signature & year. Other works can be signed front or back, not too big if on the front. Stuff sells better when framed. Even a cheap frame (as long as its in good condition) adds value and ease for your buyer. Add on at least three times the frame price for framed pieces. Old frames from second hand shops can be spray painted black, white or whatever and often look amazing. Put a sold sticker or red dot sticker on sold works. For editions, (multiples) add a dot for each time it sells. I find that once one sells, the floodgates open, so consider putting a dot on something and pretend it’s a presale. Get the phone number and email of all your sales so you can invite them next time. You might let them take the work that night, or wait until the end of the exhibition. Don’t get too upset if nothing sells. At least people have seen your work and maybe grabbed your business card. People rock up after work hungry, so at least some chips and nuts will keep them around longer. Alcohol may add extra spending potential. Depending where you are, you may need to check on laws around serving alcohol. Good luck, and let me know if I need to expand on anything. Monstrosity Gallery is no more. Bear Essentials 16 – It’s A Whole New Ball Game. The Bears Artspace is our Grand Tour of the Bear art scene as artists from around the world exhibit their work before an appreciative crowd. For the second year running Monstrosity Gallery presents the world’s most talented Bear photographers and artists in our peloton show at this small, artist-run contemporary art space. The launch was on Thurs Feb 23rd from 6.30pm, and continues until March 1st. It’s A Whole New Ball Game Furry Fact –Mark Twekesbury was the first Canadian athlete to voluntarily come out as gay in 1998. He is best known for winning the gold medal in the 100 metres backstroke at the 1992 Summer Olympics. Monstrosity Gallery, 93 Bourke Street, Woolloomooloo. (Nearest station – St James or King’s Cross then walk). This is an official Bear Essentials 16 event – part of the Sydney Mardi Gras. The launch is on Thurs Feb 23rd from 6.30pm, by a very special guest. If you don’t like to be boxed in by the crowd on opening night, you can break away from the pack as the artworks are on display until 1st March. 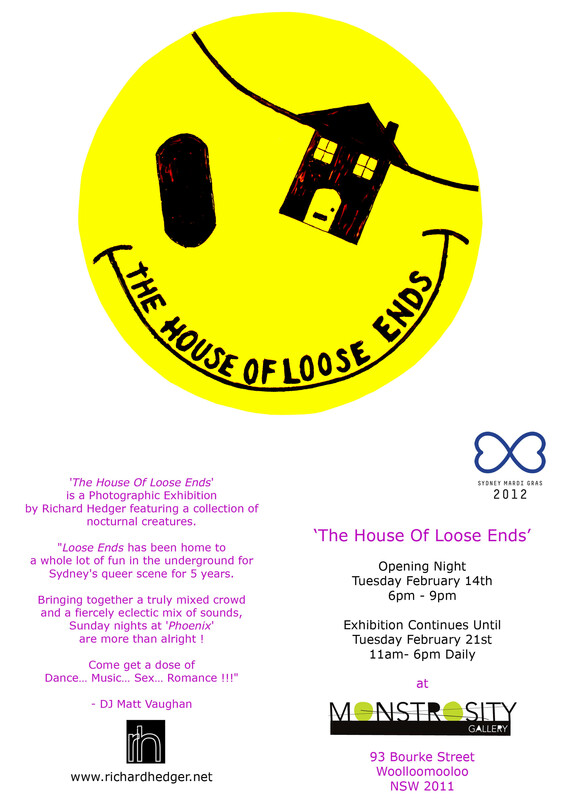 The ‘House of Loose Ends’ is a photographic exhibition by Richard Hedger featuring a collection of nocturnal creatures. Loose Ends has been home to a whole lot of fun in the underground for Sydney’s queer scene for the past 5 years. Bringing together a truly mixed crowd and a fiercely eclectic mix of sounds, Sunday nights at ‘Phoenix’ are more than alright! Martin Dillon (AKA MD25) is a multidisciplinary artist living in Sydney (originally from the UK). Largely self-taught, he brings together the wild and intricate worlds of animals, plants, human forms and galaxies. Using nature and anatomy as inspiration to create works using many different media, be it sculptural, textured canvases, multi-layered stencil pieces or highly detailed ink drawings, he has a keen interest in using traditional crafts in a contemporary way. Martin’s works are always extremely detailed, bright and playful creations, utilising his many skills in screenprinting, drawing, textiles and collage. In his deliberately over-the-top and painstakingly repetitive style, he develops an aesthetic which immediately draws the viewer into the microcosm of his designs, whilst still managing to make a bold and mischievous impression from afar. Martin Dillon’s works are showing at Monstrosity Gallery Woolloomooloo (room 2) as a part of Richard Hedger’s exhibition, The House of Loose Ends. This show is a part of Mardi Gras 2012 and continues until February 21st. Sol is the misbehaved alter ego of Monstrosity Studios director Phil Soliman. In this debut solo show, a riot of drawings, paintings, digital prints, photographs and collages give a tiny peek into the chaotic inner landscape of the artist known as Sol. As an added bonus, the first episode of a new show about arts in Sydney, Art Muscle, will have its world premiere screening. 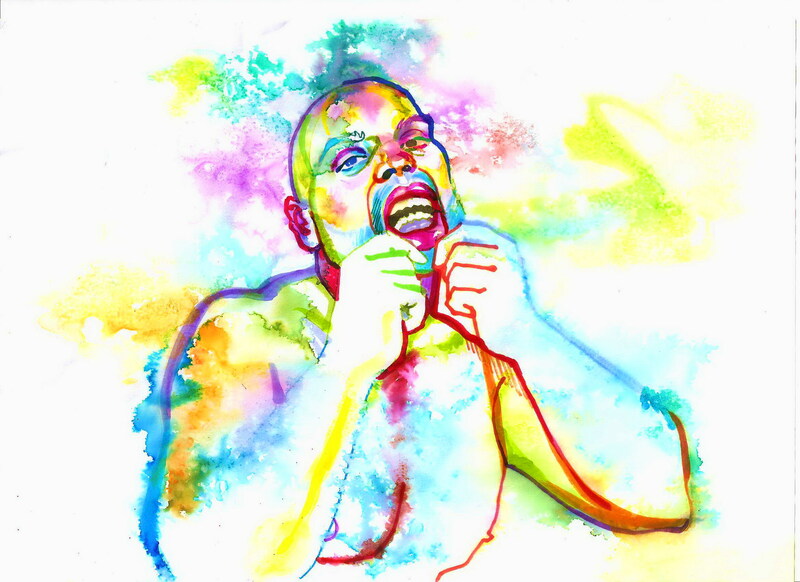 Hosted by Phil and West, Art Muscle brings Sydney’s buzzing arts scene to your face. And to top it all off, Jinja Ninja, the obscenely delicious alcoholic ginger beer, will be keeping the punters refreshed all night long. It’s going to be a swell party! See solsearch.com.au for more images. Please note the special opening hours for this exhibition.